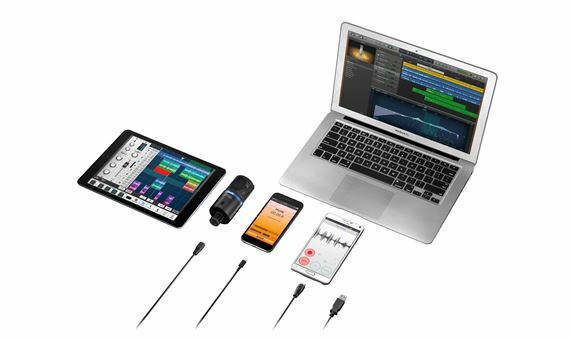 Shop IK Multimedia iRig Mic Studio iOS and USB Condenser Microphone from AMS with 0% Interest Payment Plans and Free Shipping. 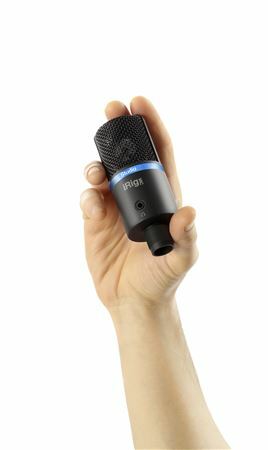 iRig Mic Studio is IK Multimedia’s ultra-portable large-diaphragm digital condenser microphone for iPhone, iPad, iPod touch, Mac, PC and Android. It packs a 1 inch diameter condenser capsule into an ultra-compact enclosure that can be used to make professional-quality recordings anywhere. 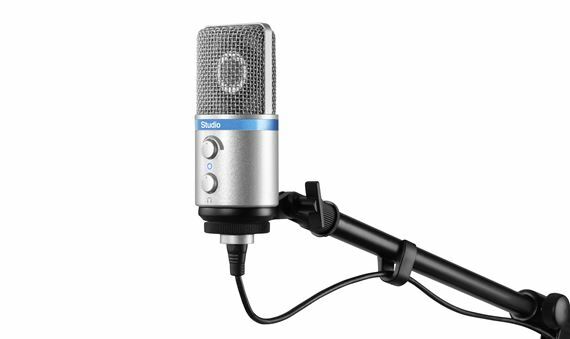 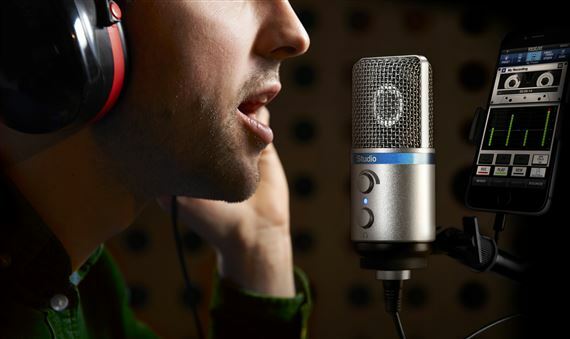 Great for musicians, vocalists, home producers, podcasters, broadcasters, voice-over artists and more, it puts the superior power of a large-diaphragm microphone into the palm of your hand. 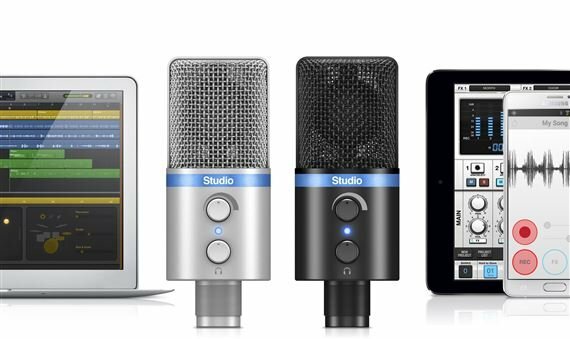 What’s remarkable about iRig Mic Studio is that it offers its truly amazing recording quality in an enclosure that’s smaller than an iPhone. 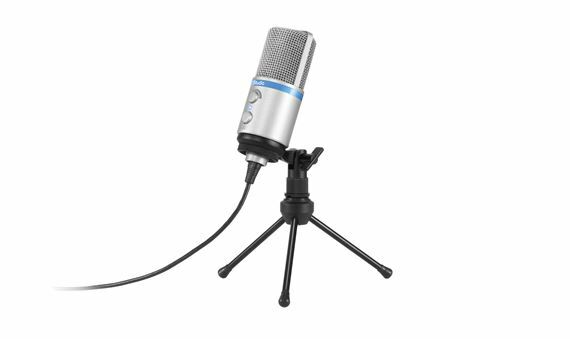 It features a large 1 inch diameter back electret condenser capsule, a 24-bit audiophile-grade A/D converter (with 44.1/48 kHz sample rate) and a built-in low-noise high-definition preamp. 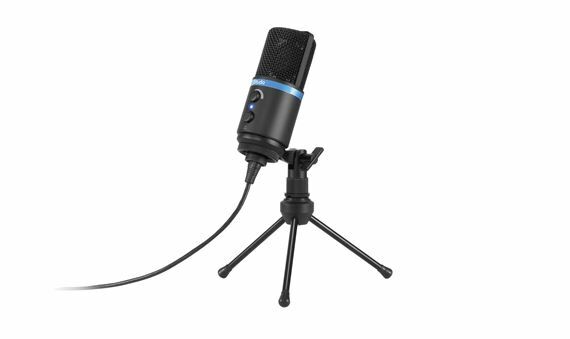 These, combined with its 133dB SPL rating, allow for optimal recording at any sound pressure level — it can capture everything from the subtle and nuanced dynamics of the human voice to the full-on bombast of an amplified electric guitar, and everything in between.